Last Sunday was absolutely hectic – I had so many errands to run in addition to driving boys to and from Sunday school, just busy, busy, busy and busy. With the weather changing three times a day, I also caught a mother of all colds, and I had the biggest craving for comfort food -something that warms you up and gives you a hug from the inside. 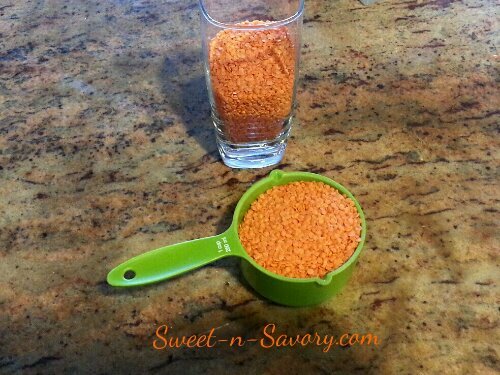 Taking a look in my cupboard gave me an idea for a red lentil soup. I prepped everything in the morning – sautéed the onions with the spices, added broth and chopped tomatoes brought the base to boil, added everything into the slow cooker, set it for 4 hours and ran out of the house. 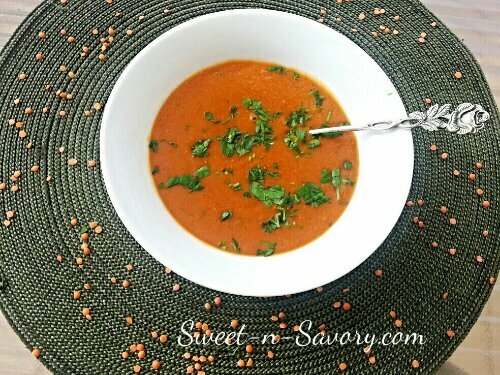 This soup was a hit – aromatic and flavorful, easy on the waist line and extremely satisfying. *Even though this recipe if for a slow cooker, if you don’t have one – you can simmer the soup in the dutch oven or a soup pot on the stove top for about 2 hours with the same result. 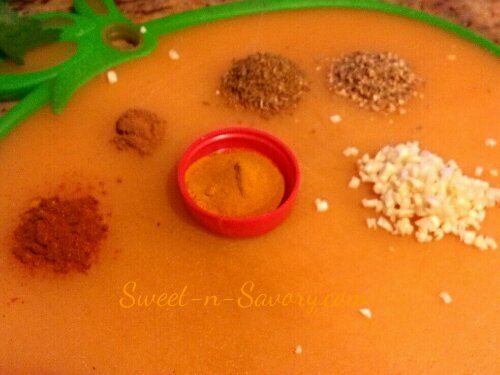 *I usually grind my own coriander and cumin, roasting the seeds in the pan just before grinding them , bring out their flavors. 1. Heat olive in a Dutch oven and add onions. 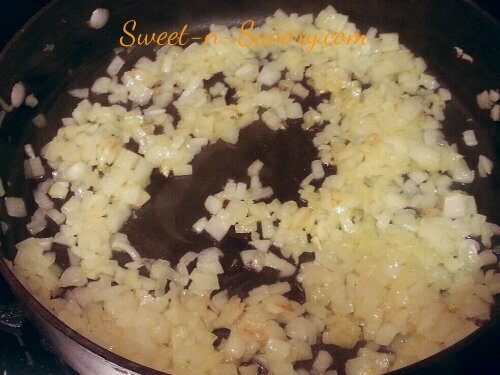 Cook for about 3 minutes, until the onions are translucent and fragrant. 2. 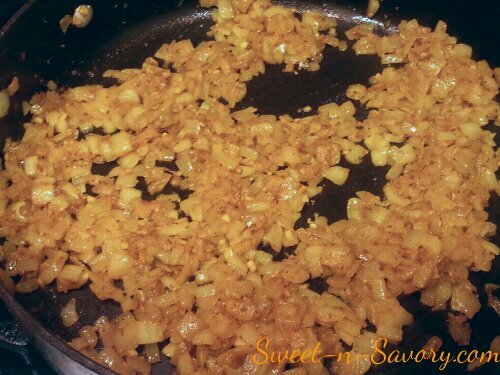 Add garlic, spices and salt to the onions and cook about a 1 minute more. 3. Add broth, water and tomatoes to the onion mixture, bring to a boil. 4. 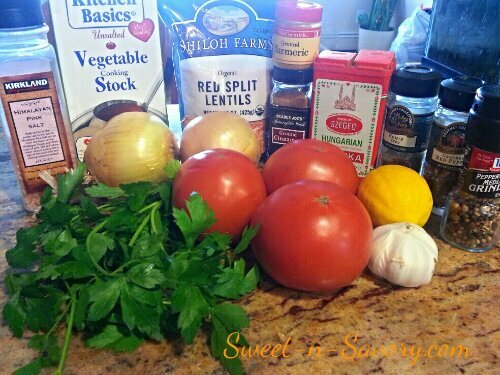 Pour the broth into the slow cooker, and add the lentils. Cook on “High” for 4 hours of on “Slow” for 6 hours. 5. 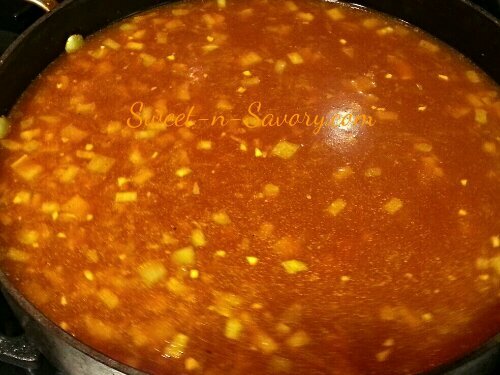 Add lemon juice to the cooked soup, mix and puree (You don’t have to). Garnish with parsley and/or cilantro.